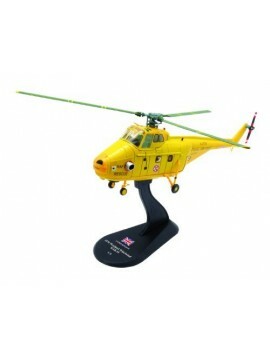 A selection of our Royal Air Force related aircraft. 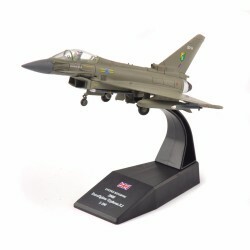 A 1:100 scale model of the 2008 Eurofighter Typhoon F2 - A twin-engine, canard-delta winged multirole fighter. 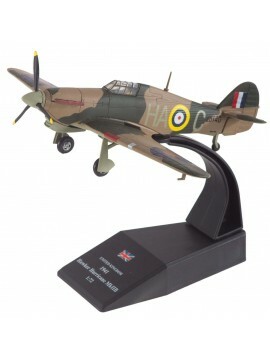 Designed originally as an air superiority fighter. 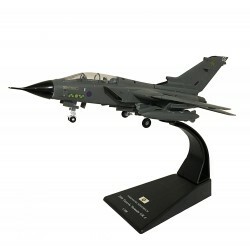 A 1:100 metal diecast scale model of the Panavia Tornado GR4 - A twin-engine, variable-sweep wing multirole combat aircraft, jointly developed and manufacturered by Italy, the United Kingdom and West Germany. 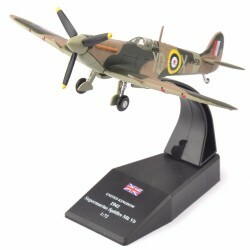 NOTE: The flag and country name on the plastic stand will show United Kingdom with a UK flag instead of the one currently in the above pictures. 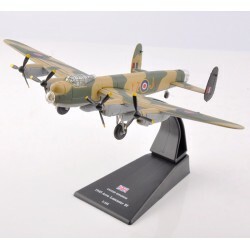 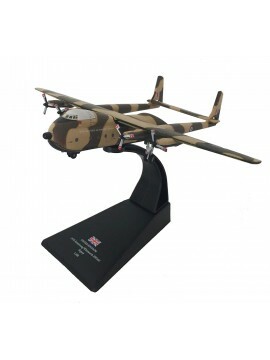 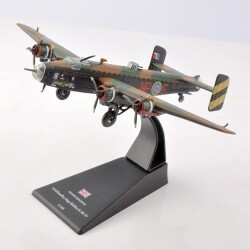 A 1:200 metal diecast scale model of the Armstrong Whitworth AW660 Argosy - A British post-war military transport/cargo aircraft, primarily used by the Royal Air Force. 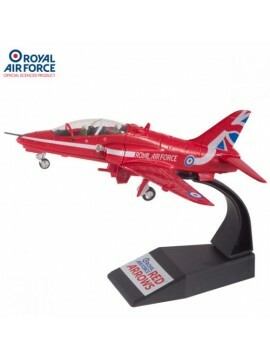 A 1:72 metal diecast scale model of the BAE Hawker - RAF Red Arrows version - A British single-engine, jet-powered advanced trainer aircraft, used in a training capacity and as a low cost combat aircraft. 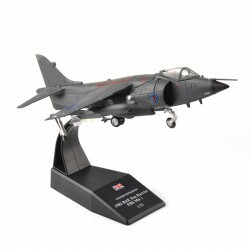 A 1:100 metal diecast scale model of the 1969 British Aircraft Corporation (BAC) Lightning F6. 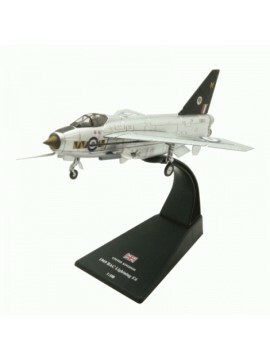 Originally known as the English Electric Lightning that served as an interceptor during the 1960s and 1970s.